Research staff collecting data on salt marsh elevation using SETs. National Estuarine Research Reserves are living laboratories and ideal sites for research and long-term monitoring. By understanding how estuaries function and change over time, scientists are in a better position to predict how coastal ecosystems will respond to climate change and natural and human-induced disturbances both locally and on a national level. As part of the national network of 28 reserves, we participate in the System-Wide Monitoring Program (SWMP).This long-term program collects data using standardized instrumentation and protocols across the coordinated network of coastal observing sites for detecting and understanding environmental change. The program is broadly divided into three functional groups or toolkits and is guided by a national SWMP Plan. Mapping habitat and land-use, including: changes in human uses and land. The SWMP long-term abiotic monitoring program is successfully developing a large water quality and weather database over time making it possible to assess and study environmental changes in Narragansett Bay. Our efforts are directed towards obtaining high-quality data to study water quality trends and patterns of physical (temperature, salinity, turbidity, fluorescence) and chemical variables (pH, dissolved oxygen, ammonium, nitrate, nitrate, phosphates, silicates) that support scientific research, enhance public awareness and understanding of the Bay’s watershed and estuarine areas, and promote educated management decisions and regulations. Meteorological data collected (air temperature, relative humidity, barometric pressure, wind speed and direction, photosynthetic active radiation, and precipitation) are continuously used to complement and support the aforementioned water quality monitoring, in addition to biological monitoring efforts at the Reserve, to assist scientific research and monitoring projects, and for stewardship, training, and educational activities around Narragansett Bay. After extensive quality assurance and quality control, SWMP water quality and weather data are available from NOAA-funded Centralized-Data Management Office. The Real Time Data Application allows users to view near-real time water and weather data from any of the 28 Reserves within NERRS. In addition, the user can look at real time gauges, and plot 24 hour graphs using one or multiple parameters. Each Reserve has at least one water quality station and one weather stations providing immediate, real-time information. 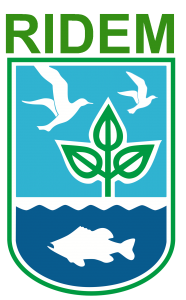 The following links will direct you to real-time water quality data from the T-Wharf Bottom and weather data from Potter Cove at the Reserve. As part of SWMP, NBNERR also conducts biological monitoring in accordance with the NERR Sentinel Sites Application Module. 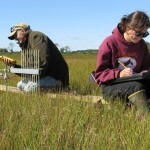 The NBNER Sentinel Sites program focuses on using long-term monitoring and data collection to quantify responses of Reserve salt marshes to sea-level rise and increasing inundation. We have been collecting some of these data since 2000 and they are already showing that Reserve marshes are losing salt meadow plant communities, which are being replaced by low marsh vegetation that is more tolerant of flooding, and by die-off patches. Sea-level rise is identified as the likely driver of these changes (Raposa et al. 2015). Sentinel Site monitoring occurs annually and includes data for emergent vegetation, elevation, hydrology, and migration rates. Plans are now moving forward to expand this intensive Sentinel Site monitoring to additional marshes beyond the Reserve to examine marsh responses to sea-level rise across RI. The Reserve generates maps of coastal and estuarine habitats of Narragansett Bay in order to track and evaluate how they are changing over time. Changes can occur at broad scales (e.g. the amount of impervious cover), which in turn can impact habitats as the local scale (e.g. the composition of habitats of Reserve salt marshes).